We’ve been discovering the versatility of cotton clothesline as a craft material. Of course it is a great material for making macrame projects, but other than this you can make a whole variety of home goods. 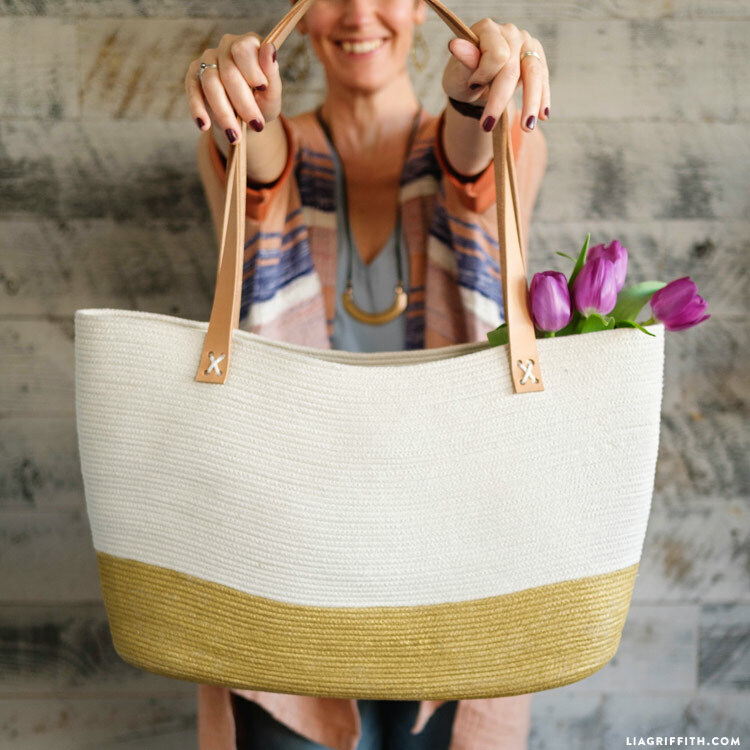 Today we are showing you how to make a DIY rope tote bag, perfect for a sturdy beach bag or reusable grocery bag. 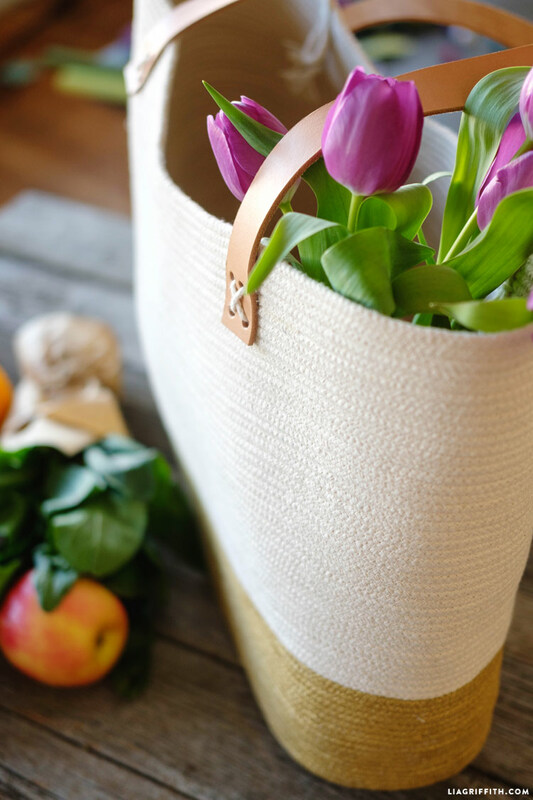 We have shared DIY canvas tote tutorials in the past, but a rope tote is better for when you need a more durable bag. We do not have a photo tutorial for this project because it uses the same technique as our cotton clothesline baskets and bowls. As you sew, cotton clothesline is fairly easy to mold into the shape you are wanting. While you are coiling the rope, use your hands to manipulate the shape as you go. Start by deciding how large you want your tote to be. Create the flat base, then build it up from there. 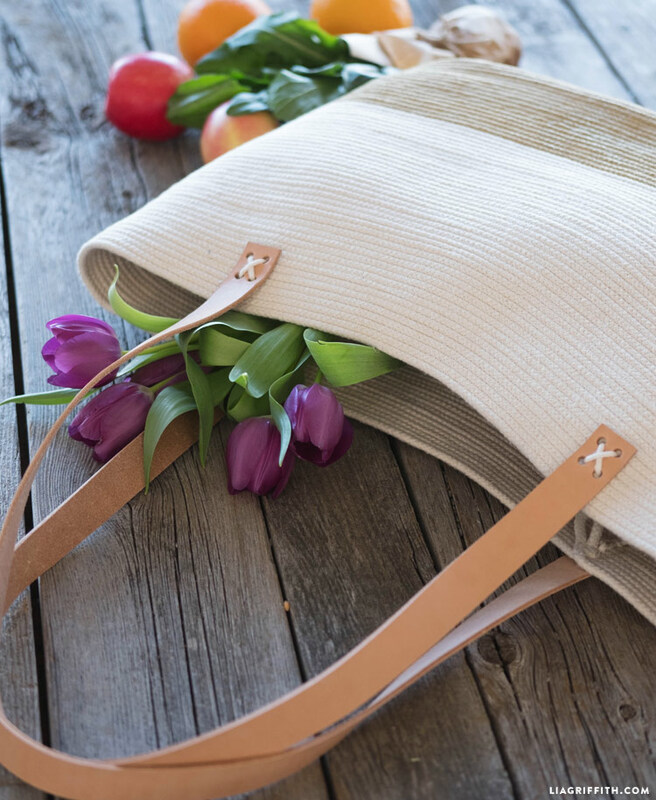 Once you finish sewing up your DIY rope tote, you can decorate it with custom straps and paint colors. We added leather straps for a textural accent, but a pretty (but sturdy) ribbon could also work well. You can even make straps by upcycling your old leather belts! Just like our cotton clothesline baskets, we painted a block of metallic gold faux finish on the bottom, but any sort of paint should absorb well into the cotton material. If you’re really feeling creative, why not paint a whole sunny scene on the side of your new bag! May I ask how you attached the leather handles? It looks like you used clothesline to make an “X”, however, did you weave it through the bag to the other side? I love the look of the “X” with the straps! Great idea, I so want to try to make one of these. 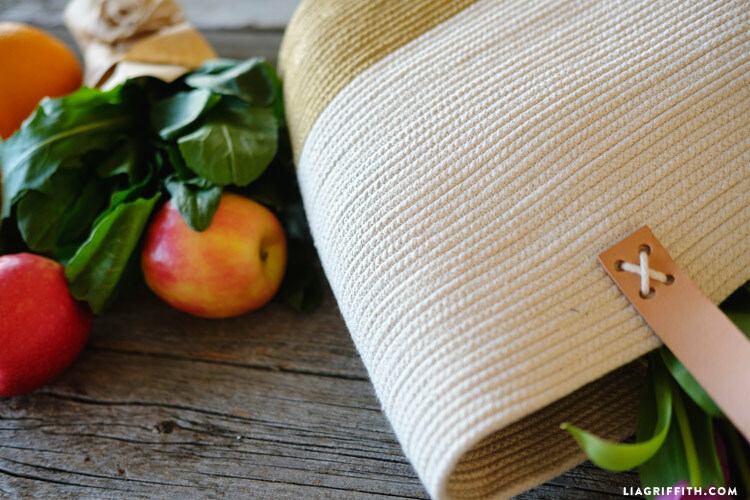 I think this would be good as a Farmer’s market tote…and I might put a lining inside that can be pulled out to wash to protect the inside. Hi Noreen! Yes that’s exactly what I did. I also stitched the rope to the inside of the bag to reinforce it a bit. oh wow! I really love this tote bag and your creativity. Great tutorial and pictures. Thanks so much for sharing your patterns and directions with us. 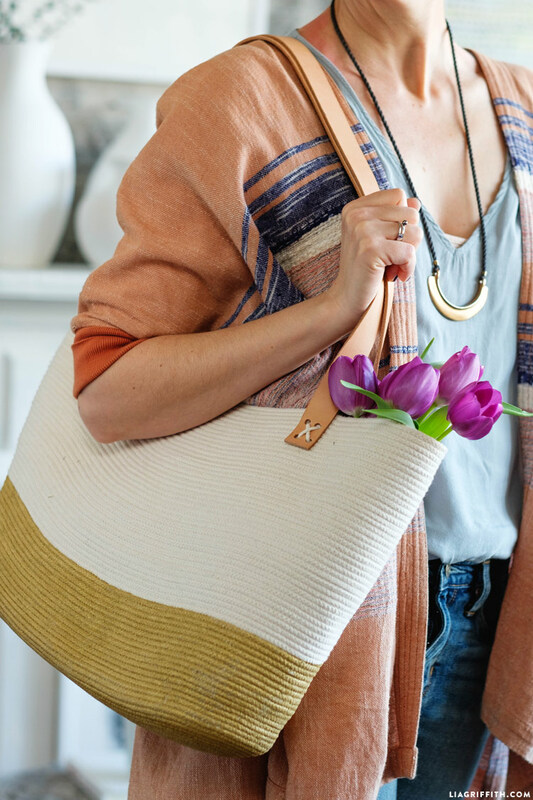 This is a gorgeous tote!